They are competing for the 2025 event with France, Japan, and Russia. Azerbaijan’s appetite for the grandiose shows no signs of satiation, as it launches a bid for yet another mega-event: the World Expo 2025. Baku submitted a formal bid for the event last year to the Bureau International des Expositions (BIE), the intergovernmental organization in charge of overseeing and regulating the event. It will be competing with Paris; Osaka, Japan; and Ekaterinburg, Russia. It would be perhaps the most ambitious event yet hosted by Azerbaijan, which has already hosted events like the European Games in 2015, Formula 1 car races in 2016 and 2017, and the Islamic Solidarity Games, a ten-day, multi-sport competition fashioned as the Olympics of the Muslim world, also in 2017. Baku’s candidacy is based on the theme “Developing human capital, building a better future.” That is perhaps an awkward fit for the country, which has spent its oil and gas revenues on billion-dollar stadiums for the mega-events, while a suffering economy has forced many Azerbaijanis to emigrate to Russia and Turkey for work. Meanwhile, Azerbaijan has been accelerating its crackdown on civil society, most recently with a crackdown on the country's LGBT community and the harsh sentencing of an independent journalist. Those may not be significant obstacles for the BIE, however: the next World Expo, in 2020, is going to be in Dubai. The head of Azerbaijan's bid – Mehriban Aliyeva, the country's first vice president and also first lady – has emphasized the country's heavily self-promoted image of tolerance. “World Expos are a showcase for diversity, based on equality and respect for all cultures. I believe Azerbaijan is one of the best places to host this universal platform” Alieyeva said at a Paris reception in November to promote Azerbaijan's bid. “Ethnic and religious diversity and multiculturalism are not simply our state policy but at the same time our lifestyle,” she added. Azerbaijan's cross-Caspian neighbor recently held a more modest version of the expo last year, which got decidedly mixed results for its overspending – at least $1 billion – and corresponding neglect of other social and infrastructure projects. Baku's expo would be held from May to November, 2025, with 18 million visitors projected to attend. 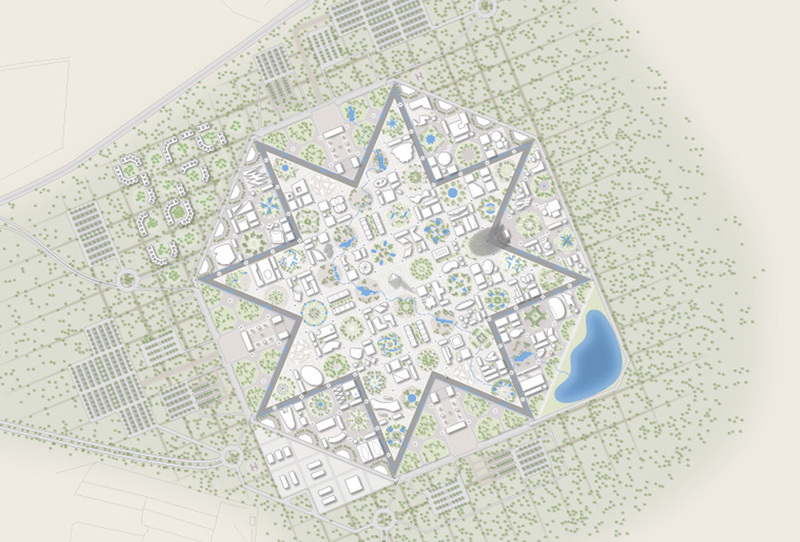 It would be hosted at a new site east of Baku near the airport, with the plan appearing as an eight-pointed star, a national symbol of Azerbaijan, from the air. Afterwards the expo site would be transformed into “a permanent exhibition, educating visitors about the country’s achievements in economic, social and humanitarian fields since regaining independence in 1991,” according to Baku's bid website. The deputy secretary general of the BIE visited Baku in December, ahead of a formal delegation from the organization scheduled to visit some time early this year. The 170 member states of the BIE will elect the new host country at its general assembly in November, 2018.